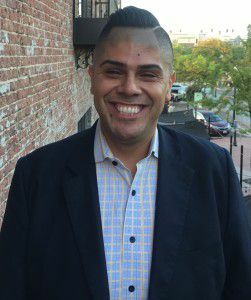 Mark Gonzalez, the Chair of the Los Angeles County Democratic Party, committed the nations largest and most successful local committee to fight for the children currently suffering systemic abuse by Donald Trump. In a passionate, open letter Gonzales said in part "It brings me to tears to hear these children screaming for their mothers and fathers while locked away in the town where I was born, and it makes my blood boil to know that, unless we collectively stop it, the worst is yet to come." The newly elected chair went on to commit to action by saying in part "In the coming days, weeks, and months, we will march, rally, protest, walk precincts, and most importantly, get out the vote to ensure that our society is saved from this monstrous form of policy and politics. " You can read the entire statement by clicking here.